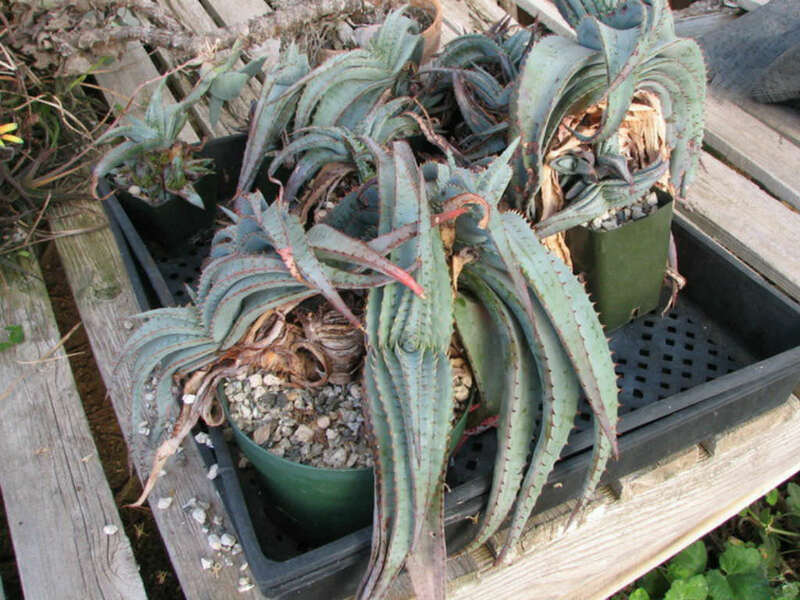 Aloe suprafoliata is a stemless or short-stemmed Aloe, unique in that its growth habit changes as it ages. 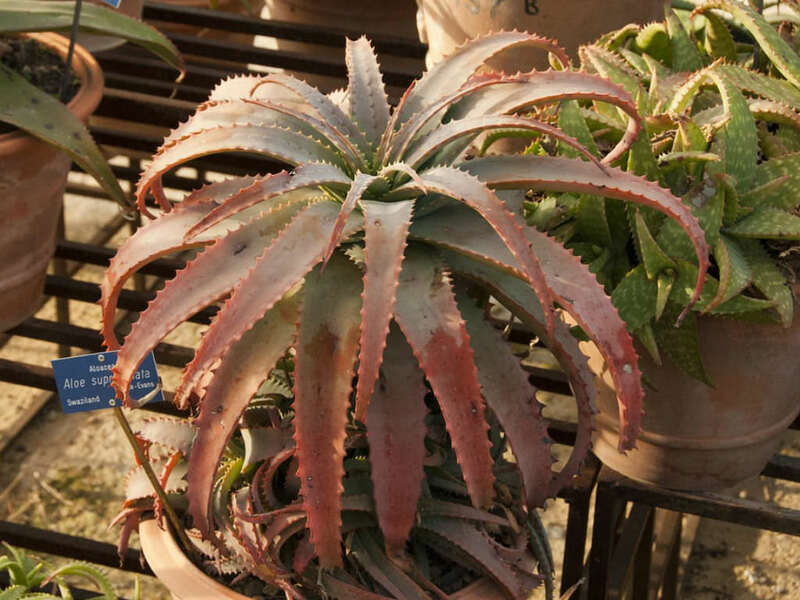 For a long period of time during this plants juvenile phase the leaves of the plant are distichous or stacked in two rows that parallel each other but as the plant matures the leaves radiate out and develop into in the typical rosettes. 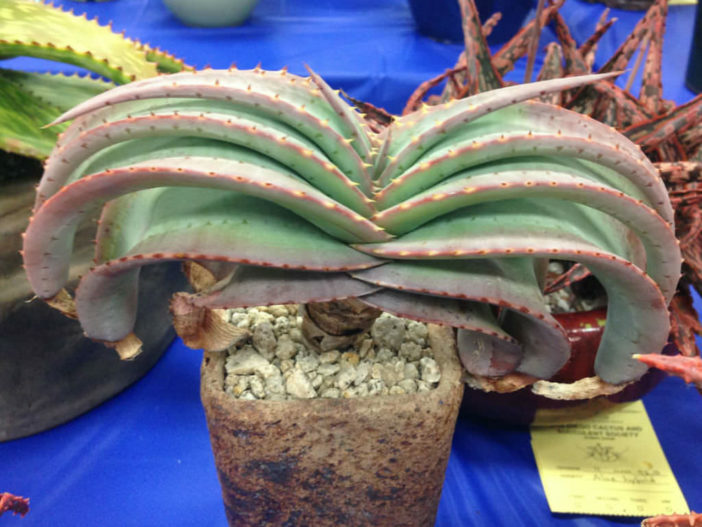 The tapering succulent leaves are up to 16 inches (40 cm) long, armed with small teeth along the edges. 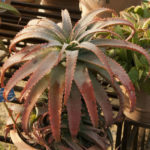 In less intense sunlight the leaves are blue-green, but in bright conditions they become a milky blue-gray color. 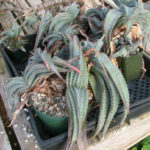 In the dry winter conditions prevailing in its native habitat, it is often tinted reddish-brown on the outside of the rosette. 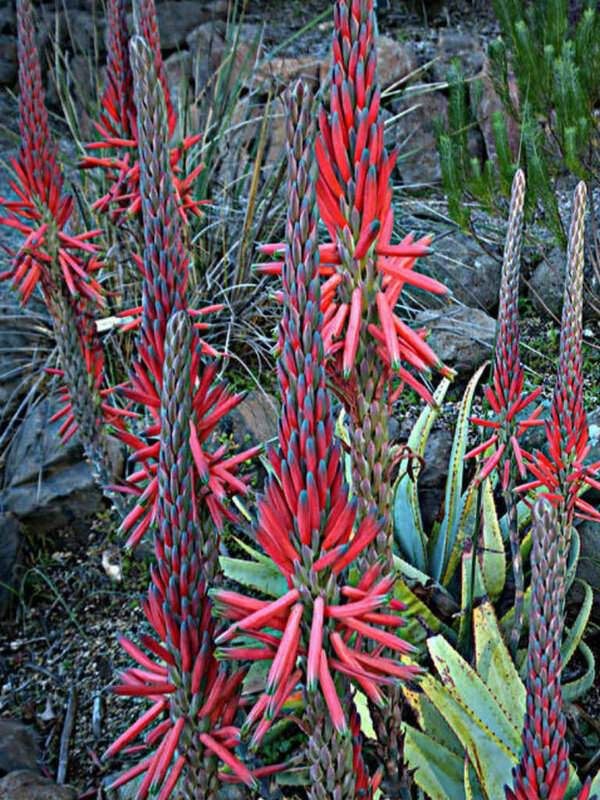 The inflorescence of is not branched, but plants can produce up to 6 or more stalks from one rosette, rising up to 3.3 feet (1 m). Even before the flowers open they are attractive, with cylindrical pinkish-red buds tipped in slate gray or purplish gray. The buds are upward-pointing, but as the flowers mature they pivot downward, then pointing back up again as they pass maturity, so that the seed pods are held erectly. 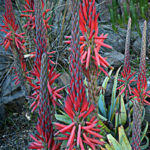 The flowers are slender and quite long, up to 2 inches (5 cm).